With so many options out there it can be confusing when you try to figure out what fonts to choose for effective branding. So, here are a few things I do when I create logos, social media graphics, and marketing materials for my clients. These simple steps will show you how to pick fonts for your brand, and make branding your business easier. 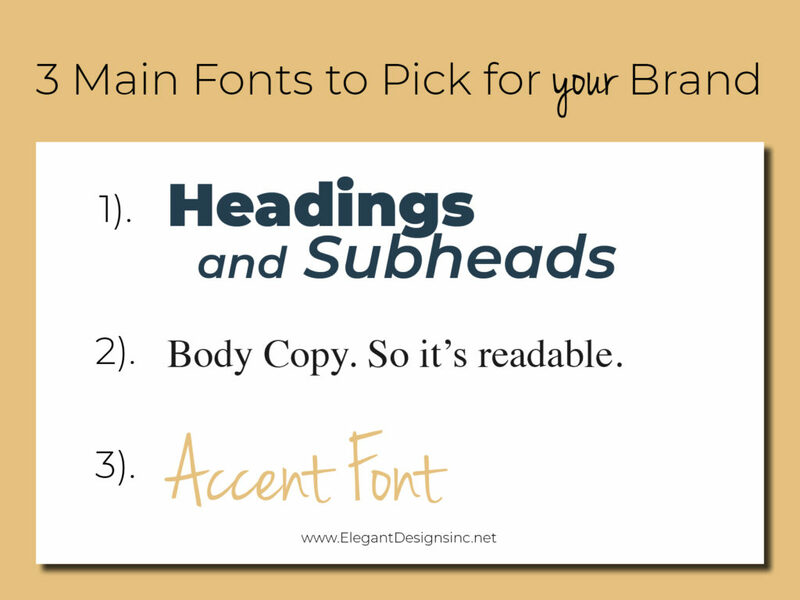 Picking fonts for your brand doesn’t have to be hard. Fonts are my jam. I would even go as far as to say “I love fonts.” That might sound funny to anyone else who is not a graphic designer, but it’s true. And the fact that I have a few thousand on my computer might back up that statement. HAHA. I’ve been a freelance graphic designer since 1997, and over time have come to appreciate the brands fonts help me create. What feeling does the font create? 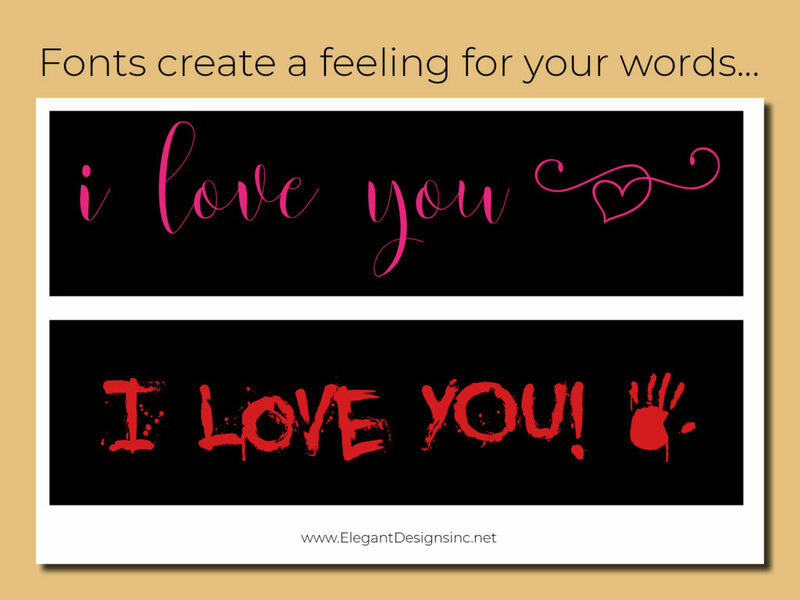 Does the font create the same feeling you want your business to portray to clients? 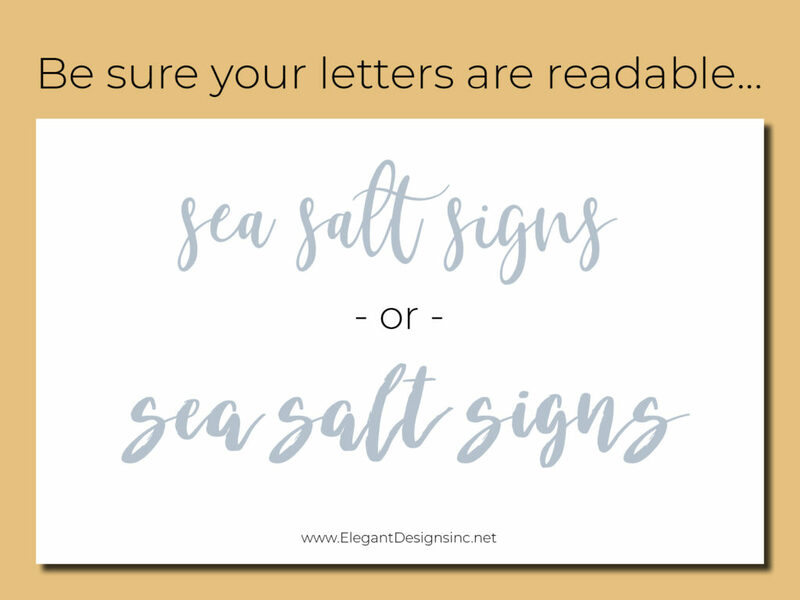 For example, Signs by Chelly could be designed with fonts that show the viewer a farmhouse style before even reading that they design farmhouse signs. The letterforms can say more than the words they spell sometimes. You will want to choose carefully and think about what your style says to your audience. This is key in how to pick fonts for your brand. Test the fonts you like to make sure your letters don’t look like something else. With some handwritten or script fonts, you can sometimes get letters that are hard to read on their own. For example, this font used for Sea Salt Signs is great but let’s say you wanted to use the monogram SSS. To someone seeing your monogram for the first time, it might also look like LLL. You the font you like to type out all your buzzwords, your company name, your name, and your website in that font to ensure there are no confusing characters. Post your sample to Facebook to get the feedback from friends and family. Without all the context of each word, they will be able to tell you if it looks like it says something it doesn’t actually say. Try printing it out in a large format and to test how it will read from a distance. Also, test how the font reads when its displayed on a small mobile device. Check the commercial rights to use for a business. There are a couple of different options when you’re shopping for a font. You can get a commercial or personal license. You will want to make sure you have the commercial license for the font. (This will give you the legal right to use the font to sell and promote your business.) Sometimes the license is included in the price of the font but if not the license usually is about $5 or $10 more. Is the font suitable to use for your business? Headings, body copy and, ascent fonts and three typical ways that fonts are used when promoting a business. All of these fonts should complement each other and fit in with your logo. Your body copy needs to be easy to read and skimmable. Script fonts are very hard to read in a paragraph, try to stick to a font that subtly complements your branding without sacrificing functionality. Your headings and subheadings sound direct the reader clearly. You need to make sure that these fonts are bold and crisp and that they help to create a direction that you want your viewers to look. Your accent fonts sound screams for attention! This would be your fun, whimsical, thought bubble type fonts that can really show a personal touch. This font should defiantly create the feeling that you want your business to. Now you might be asking, where do I find these perfect fonts, Chelly? There are thousands and thousands of fonts out there along with sites that let you create your own font. My favorite place to find fonts is Creativemarket.com. They have such a wide variety. 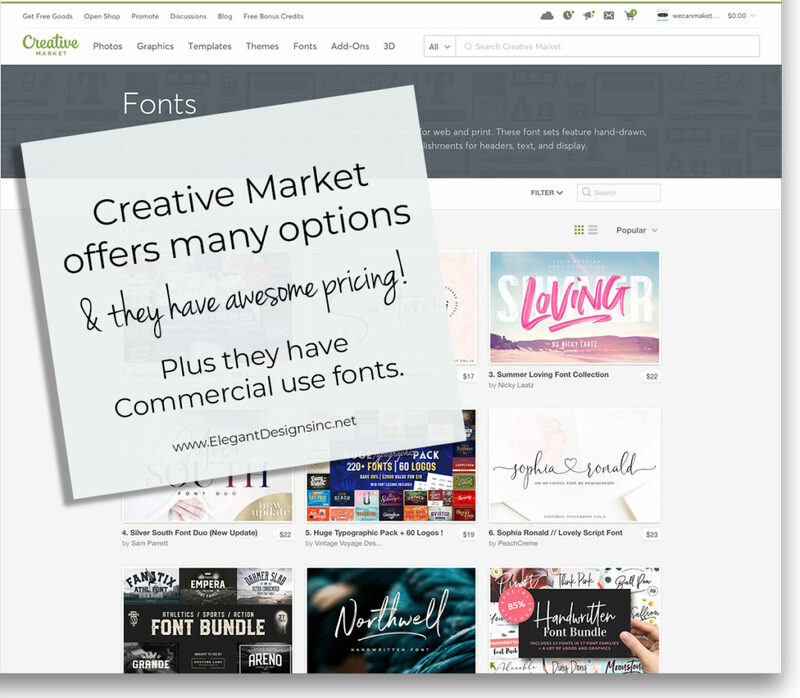 You could find all the fonts you need with the commercial licenses. They also offer bundles for 80% off great fonts! 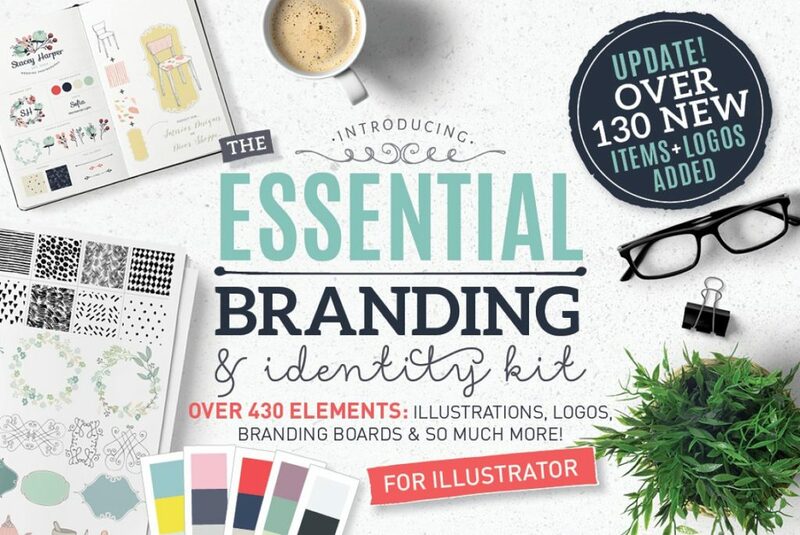 They even have tools for how to pick fonts for your brand. Check them out! Keep in mind when picking a font that you want to, not only choose a font that’s on trend but a font that is going to speak to your audience and help you attract the clients you want. These fonts create felling and are very helpful when building a brand. Confused even more about how to pick fonts for your brand? Watch this Facebook Live on picking fonts that support your brand and see if that helps. Nailing the right brand for YOUR business is the key to success online these days. 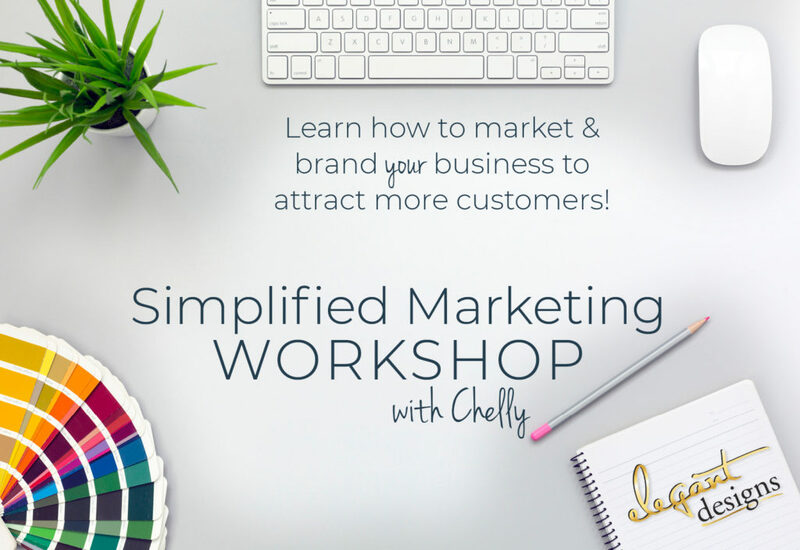 You might be interested in my Marketing Simplified Workshop to help guide you through your brand. 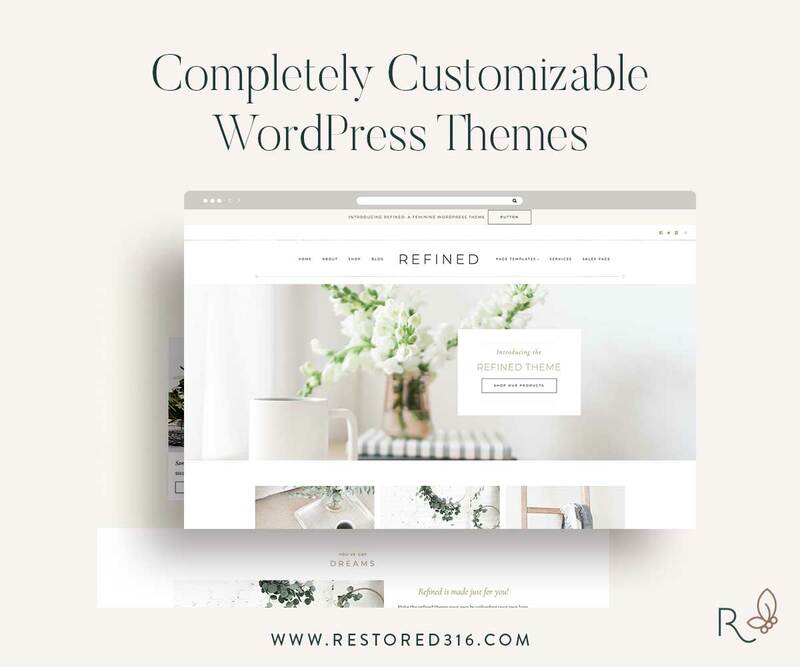 Want more help in making your online business look more professional online? Join our mailing list for other tips.